A Closeup Of A Rusty Metal Disc Brake Rotor On The Ground With A Green Weed Growing Up Through It. Фотография, картинки, изображения и сток-фотография без роялти. Image 115783467. 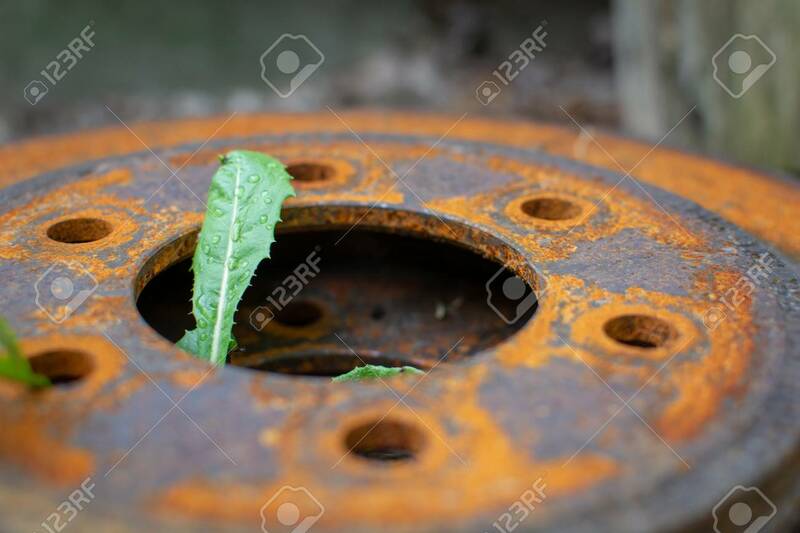 Фото со стока - A closeup of a rusty metal disc brake rotor on the ground with a green weed growing up through it. A closeup of a rusty metal disc brake rotor on the ground with a green weed growing up through it.